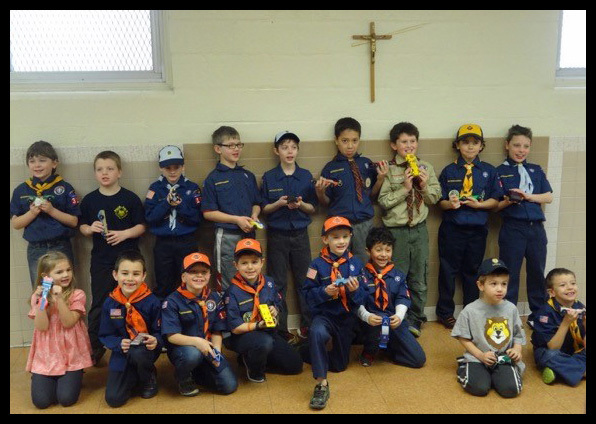 The Church of St. Raphael has held a charter for Cub Scout Pack 163 since 1964. Scouting builds character, respect for nature, an awareness of community needs, and spiritual growth. Scouts develop new interests and skills helping prepare them for success in future endeavors. Scout leaders/advisors are trained in age level activities and are role models for the scouts. Pack meetings are held once a month in the cafeteria or Marian Hall; dens meet 1 to 2 times per month. Cub Scouts range from Kindergarten (Lion Cubs) to 5th grade (Webelos) at which time following the Blue and Gold Dinner, they bridge to a local Boy Scout troop.